The secret to a cheesy creamy macaroni? A bechamel sauce AND you must only cook the mac & cheese in the oven for 5 minutes! I use to bake my mac & cheese for 30 minutes which would always give me a macaroni with no sauce and clumpy pieces of cheese…which is obviously not what I wanted! So for those of you, who like me, could live on bread and cheese alone, here’s the recipe! Bring a large pot of lightly salted water to a boil, add pasta, and cook until done; drain. Bechamel sauce (White sauce): In a medium saucepan, heat the butter over medium-low heat until melted. Add the flour and stir until smooth. Over medium heat, cook until the mixture turns a light, golden sandy color, about 2 minutes. Add the milk to the butter mixture. Whisk until smooth. Bring to a boil. Cook 7 minutes, stirring constantly (or else the flour will stick to the saucepan). When the milk has thickened, slowly add 2 cups of grated cheese and whisk until it becomes smooth. Remove from heat. Season with salt and set aside. 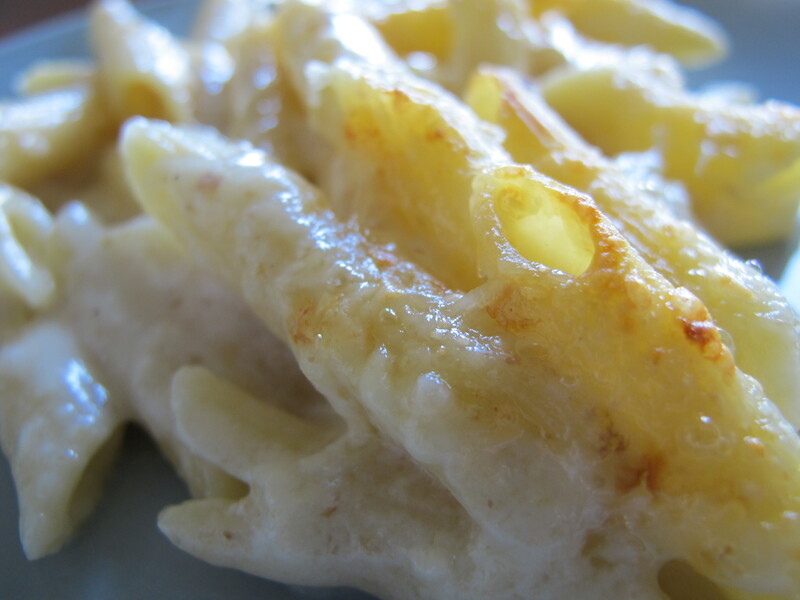 Once your pasta is cooked…In a 5x 9 inch loaf dish, stir together macaroni and bechamel sauce. Cover with the remaining of the grated cheddar cheese. Cook in the oven for 5 minutes. Broil for 2-3 until top is brown and crispy!